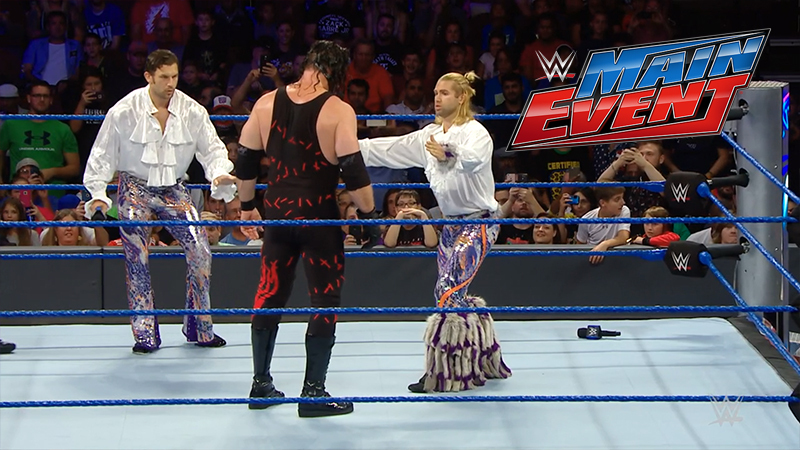 Breezango make their way to the ring and talk about their big, piratey shirts that Tyler Breeze got from Dubai. Kane makes his way to the ring, probably because he wants a shirt. A squash, but it was quite entertaining. From RAW, the triple threat match to determine the number one contender for Charlotte’s Women’s title. From RAW, the Highlight Reel with guest Sami Zayn. Good match. Both guys looked good doing what they do. English got in some heel moves and Jordan got in some suplexes. From RAW, a replay of the New Day versus Gallows and Anderson match. From RAW, Reigns confronted Owens last week, and they faced each other in a match this week. The matches were kind of short, but I liked the show. I think a lot of it had to do with Breezango. The first match was fun, but this was easily the better wrestling match.